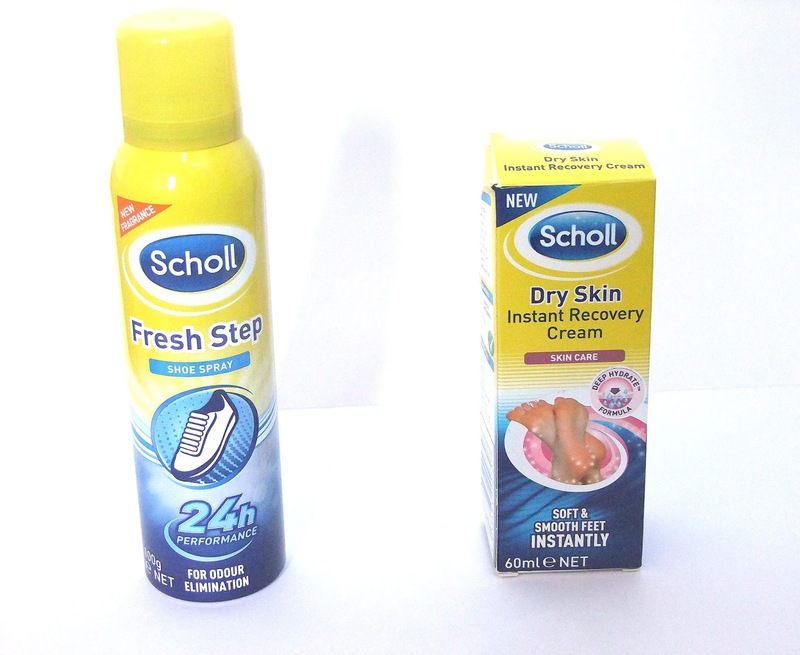 I was asked if i would like to review a couple of foot-care products from Scholl and i thought it would be a great opportunity for me to actually look after my feet a bit better. I was lucky enough to receive two footcare products. One being a Shoe Spray for Odour Elimination and the other being Instant Recovery Cream for Dry Skin, and i think in this instance it's mostly for cracked heels. I don't actually suffer from foot odour, but my brother does terribly. I sprayed the Shoe Spray in his shoes evenly and they actually smell a heck of a lot better than i expected them to smell. I'd describe the smell as a bit of an alcoholic smell at first, but once it's settled it smells quite fresh as opposed to the usual sweaty odour we all have to smell when his shoes are about. 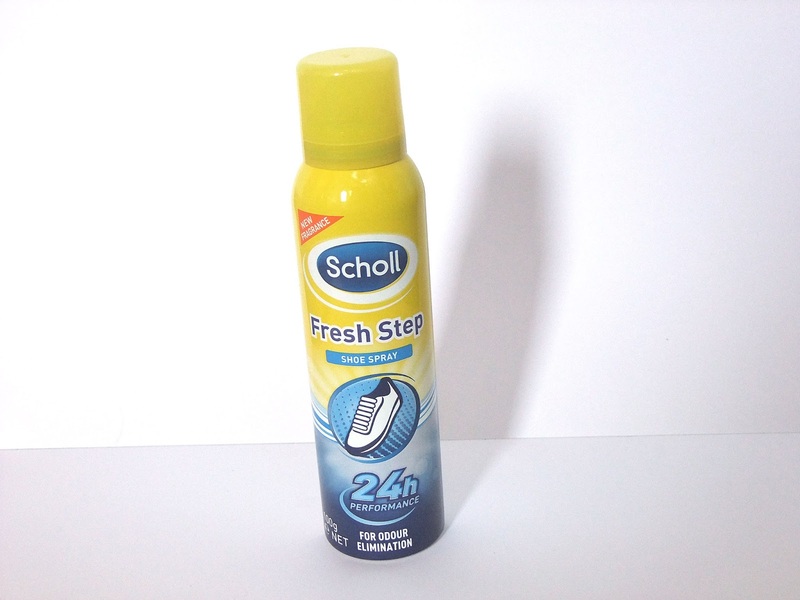 This product is great if you have sweaty feet and you want your feet to smell a bit fresher this Summer. Once you've used the spray, make sure to wait a couple of minutes so that it can dry before putting your shoes back on. This product really does what it says on the tin. 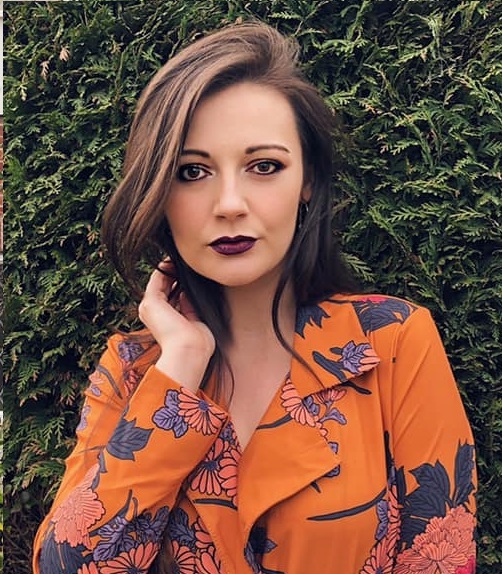 I am incredibly impressed with the Instant Recovery Cream! 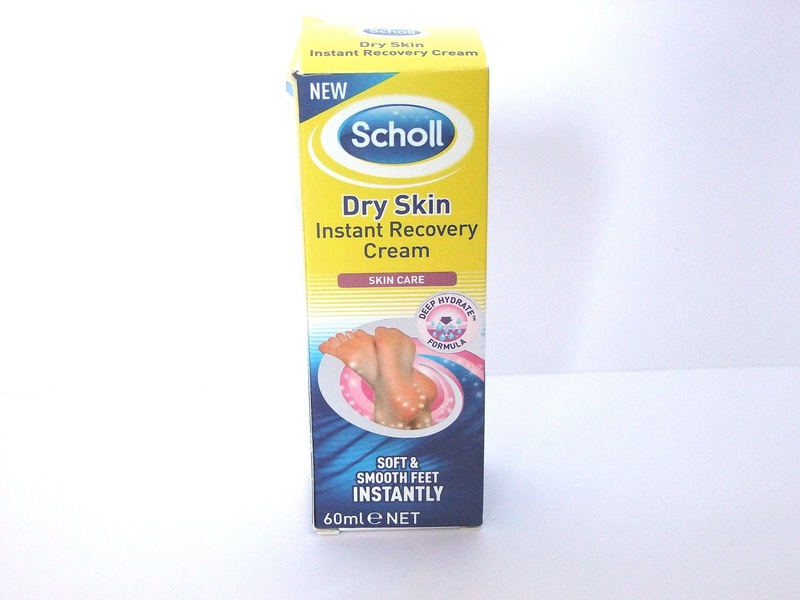 This is a great product for cracked heels, just make sure that after you've applied the cream, you don't walk about while it's soaking in. My mum and I both tried the cream on our heels. I found the cream quite greasy, but that could be because i used a little bit too much, but my mum also said it was greasier than she expected, so just make sure you are able to wash your hands after you've applied it. After a few minutes of letting the cream soak into our cracked heels we both had a feel and noticed that our heels were a lot softer and a lot smoother. This is not what i expected from the cream at all and i am pleasantly surprised! I would definitely recommend this to people who were looking for a good product for cracked heels! Oh, I could do with the spray for my bf's, I'm always complaining lol. Will have to pick this up. they sound good! might just get the shoe spray for my husbands shoes haha! The foot spray seems ideal for my husband. He desperately needs it. I could definitely do with that cracked heel cream, my feet need some love!